Many employees who work at desks in this increasingly digitized world have bad neck and back posture. This bad posture has contributed to the prevalence of spine-related health issues in our society. To fix this, ergonomic issues must first be identified. A computer-vision algorithm can easily examine the structure of a person sitting in a quick and efficient manner, evaluating people's working poses to better workplace health. 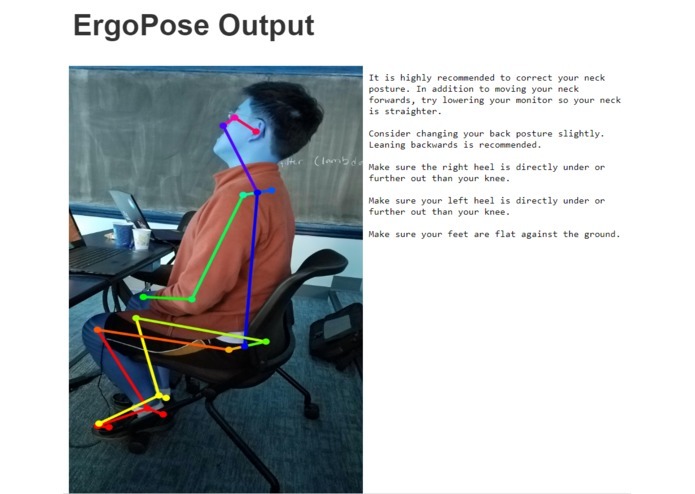 ErgoPose takes in a right or left side profile of a person in a normal working sitting position and examines key angles of the spine, neck, and legs. 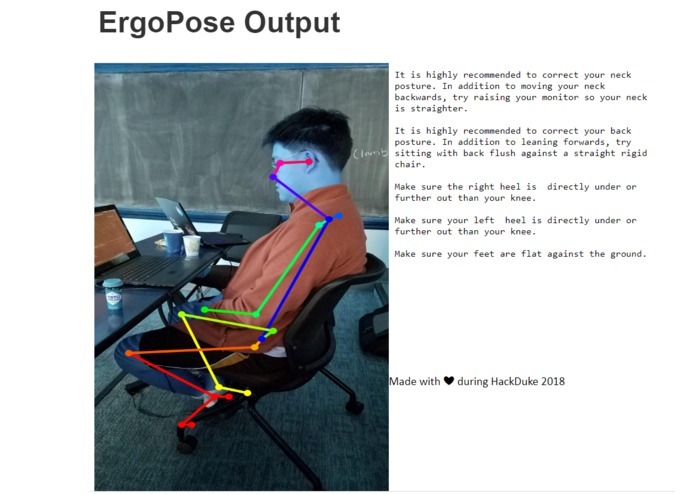 After analyzing angles and comparing to an ideal set of working positions, ErgoPose provides easy-to-access and easy-to-implement suggestions for bettering posture. We would like for companies to use our hack to provide personalized ergonomic suggestions rather than general advice. We are also looking into applying this to other aspects of our daily lives, such as exercise or sleep.